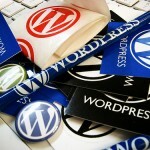 WordPress was started in May 2003 by founders Matt Mullenweg and Mike Little. It is an offshoot of code they had written for B2 and Cafelog. It was created in PHP in order to be used with MySQL rather than more expensive, and overhead heavy, database programs. WordPress was created to allow anyone who wanted to the ability to create and maintain a blog without any prior knowledge of HTML of other internet programming languages. By keeping the code open-source (meaning free to use and edit to anyone) it has become the most widely used Content Management System (CMS) available. As of April 2013 WordPress had been downloaded over 18 million times. Click on the down arrow on the right hand side of that item in the sidebar. This will open the item. At the bottom you can click on delete and the item will be removed from your sidebar. Pick any of the items from the available widgets area and drag it to the sidebar or section you would like it in. Enter or change the information to have the details you need. If all else fails you can add a text widget which will allow you to place any text or html. When changing the design or css elements of your WordPress site it is better to make the changes in a child theme? Because then the custom design changes you have made will not be effected (or lost) when you upgrade. To set up your child theme you need to create a folder in the wp-content/themes folder. In that folder you need to create a style.css file.